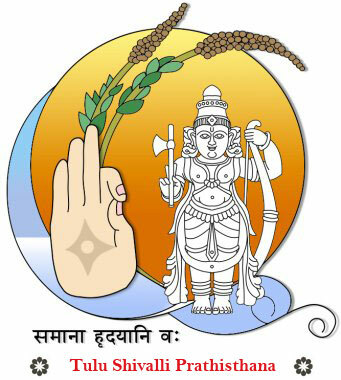 Brahmin Saptapadi Matrimony is a Karavali Karnataka Brahmins Matrimonial service started by “Tulu Shivalli Prathisthana”. With an objective to build a platform which is reliable, authentic and easy to use in finding a suitable life partner, whom you can spend rest of your life with. From the day of its launch in 2011, we are in the forefront as the most trusted and successful portal to join hands for hundreds of couples. We provide an easy to use interface that combines Karavali Karnataka Brahmin tradition and innovative technology in binding your wedding. 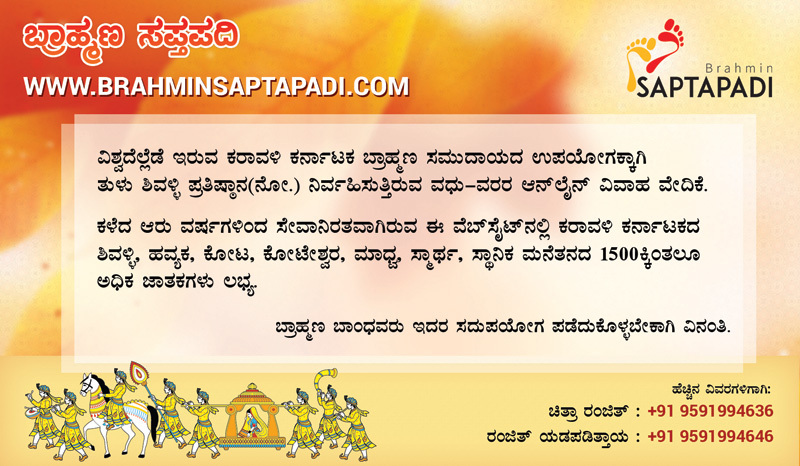 brahminsaptapadi.com has become a familiar place for Karavali Karnataka Brahmins from around the world with its valuable matrimonial services in selecting a perfect life partner. The Portal is maintained by Ranjith Yadapadithaya & Chithra Ranjith. We thank Sri Suryaprakash Udupa and Sri Shailendra Kedilaya for the support rendered to start this initiative.